This is the first of a two-part series covering the most useful Salesforce reports for leaders based on the type of sales team. Check back in a couple days for part two. You know that CRM dashboards alone aren’t enough for your sales stack. But it’s also important to note that if you really want to leverage the immense amount of data in your CRM, you need to look at the right sales reports. The best reports to look at will obviously be based on the goals of your specific sales team. Today, we’re going to cover some top reports for sales development leaders. Since most sales development rep (SDR) teams focus on sourcing quality leads for account executives (AEs) or other sales team, the reports for those team leaders are focused on lead quality. Here are three of the most helpful reports for sales development leaders. Each covers what the report is, why it matters and how to use it. 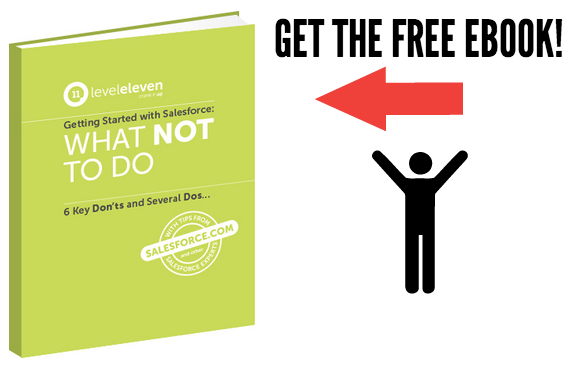 We don’t cover how to build the reports, since every Salesforce instance is different, but the “what it is” section tells you what to look for when setting it up. What it is: This report documents daily performance around sales activities. It logs how much activity (calls, emails, etc.) each of your reps completed the previous day. Why it matters: Monitoring the daily behaviors around your sales development team’s KPIs helps you understand whether reps are spending time on the right activities. This report also lets you dig in a little further and view specific notes from each activity so you can see what reps are doing with each opportunity and know where to engage in sales coaching to course-correct as necessary. How to use it: Check this report every morning to get a quick snapshot into the metrics that drive rep compensation (as well as your own). Share it with your reps to help them track their bonus in real time – a great way to motivate performance. Automate it so that Salesforce sends the report right to your inbox. What it is: This measures prospects that have been initially qualified by an SDR (typically this means a stage change, so that’s how you can track when setting up the report) but haven’t yet been approved as a sales accepted lead by an AE. Why it matters: This report is a great way to measure the quality of the leads your team is passing along to your closers. It also shows if SDRs aren’t creating enough urgency around what’s in the pipeline. How to use it: Check this report on a daily basis to make sure current opportunities are moving through the pipeline, and not getting stuck by, for example, constantly rescheduling meetings. What it is: This report shows you what discoveries have been completed and marked as a sales accepted lead (or whatever your team calls an accepted opportunity) by your closers. Why it matters: Most SDR teams are sourcing a high percentage of net new revenue, so you want to make sure the quality of the leads they find continues to go up. Measuring this holds both the SDRs accountable for sourcing quality leads and the closers accountable for pursuing them. How to use it: Check this report a couple of times a week. You can go deeper and look into the notes for each opportunity if you want to get a snapshot of the whole picture. This can be a great coaching opportunity if an SDR keeps sending over prospects that aren’t getting accepted or moving forward. As an SDR leader, one of the main metrics you should track is the conversion rate from a lead qualified by an SDR to a lead approved by a closer. This last report is more of a quick percentage ratio to monitor quality of leads and is something you’ll want to monitor daily. It shows how many of the leads your team is sourcing that are actually being converted to potential revenue for the business. If the percentage is low, you may want to look at how well your reps are qualifying leads. Finally, don’t forget that modern sales teams track sales activities in real time with things like scorecards and leaderboards. Not only does real-time monitoring help you identify when your team is falling behind pace, but it shows you what activity you need to focus on to get back on track to beat your revenue goals. If you really want to leverage the immense amount of data in your CRM, you need to look at the right salesforce reports. Here are the top 3 for SDR leaders.